Nothing could make a screening of the 1949 Ealing Comedy Whisky Galore on Burns’ Night more fitting than a complimentary dram of Scottish whisky, which the organisers from WOF provided along with casual conversation in the bar area before the film began. Funny stories were exchanged along with an engaging discussion of Gaelic language, while many of the attendees had dressed in kilts for the occasion, with one explaining how fortunate it was that Burns’ Night had proved one of the warmest Winter days so far. 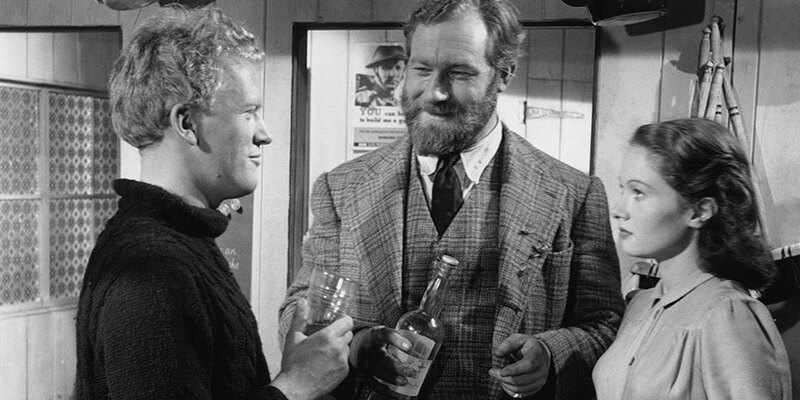 As the film’s title suggests, whisky is an important commodity to the islanders of fictional Todday in 1943, whose lives are not affected by the ongoing war until the supply of their precious whisky – or uisge-beatha in Gaelic, the water of life – runs dry. Horrified, they attempt to steal the cargo that has been shipwrecked off the island’s coast, while the pompous leader of the Home Guard attempts to thwart them. As the farce continues, it becomes clear what the whisky represents to the islanders: a uniting force against the upper-class English enemy; a source of courage for characters like George Campbell to stand up to his domineering mother and marry the woman he loves; and a symbolic reminder, together with other customs like Scottish Highland dancing, of who the islanders are and where they come from. Though the film verges upon stereotypes – particularly when it helps to fuel the farcical plot – the distinctive accents of the Outer Hebrides and its depiction of an isolated community provides a refreshing change from both American and British films of past and present. Overall, the offering of free whisky before the film began, together with the encouragement of a casual atmosphere by the organisers, provided a splendid parallel to a classic film of Scottish culture, demonstrating the importance of conviviality and social cohesion. And a drop of whisky.